VirtueMart is one of the most popular and experienced Joomla! plug in. It means merchants can benefit from fully-functional platform and get additional opportunities from CMS. However, default features not always can fulfill all business demands. Thats why store owners need to use extensions, which are quite expensive. Due to this fact a lot of entrepreneurs decide to migrate their shops from VirtueMart to OpenCart, which offers hundreds of free modules. 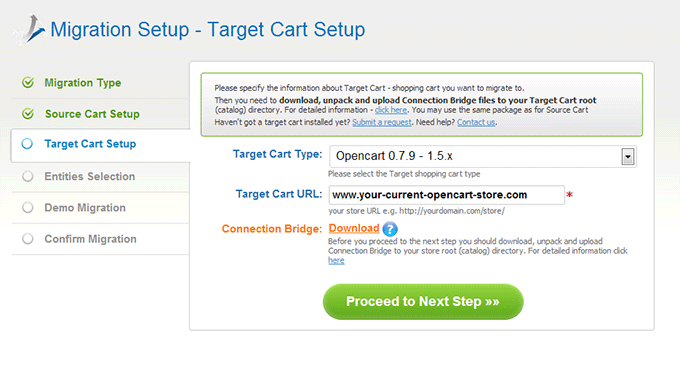 Cart2Cart provides a possibility to move all orders, products and customers from VirtueMart to OpenCart effortlessly. All you have to do is to follow an instruction or watch video tutorial below. Log in via your Google or Facebook account. 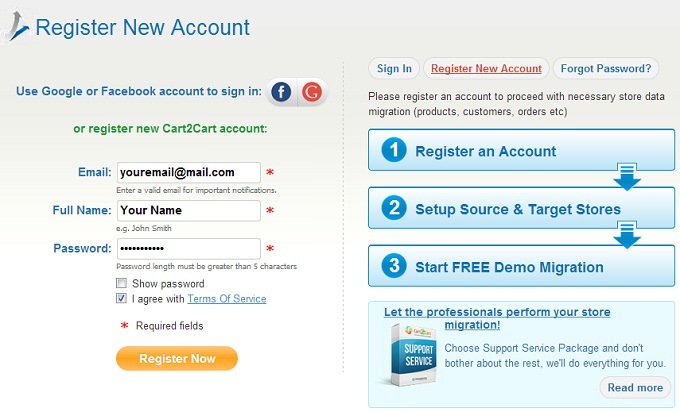 It is also possible to create a new Cart2Cart account. Provide information about your Source VirtueMart Cart. Pick it from the list and enter store’s URL. After that, you have to download a Connection Bridge. Then unpack it and paste to the root directory. For better understanding watch our video tutorial. Repeat the same steps with Target Cart. Choose OpenCart from a drop-down menu. Here, you have to choose entities you would like to move. It is also possible to select additional options. Pay attention, most of them are free. 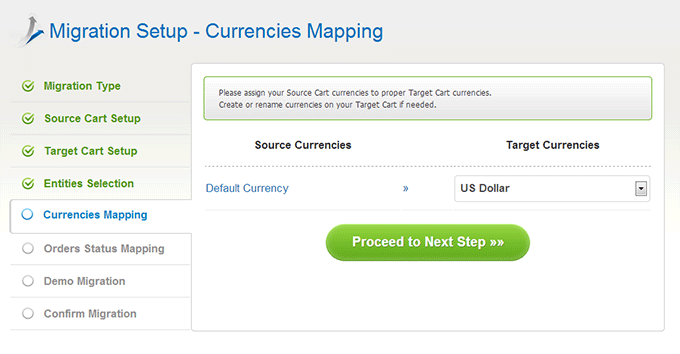 At this point, you can map currencies on Source VirtueMart and Target OpenCart stores. 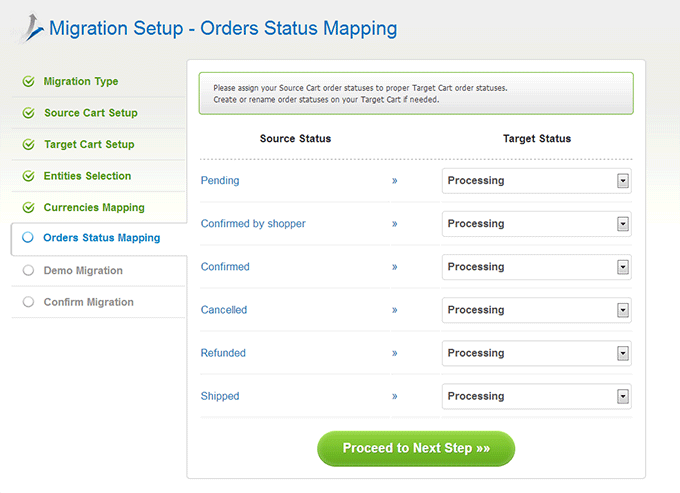 If you decided to migrate orders, on this step you can map order statuses. Cart2Cart offers a great chance to see how everything works without paying a single cent. 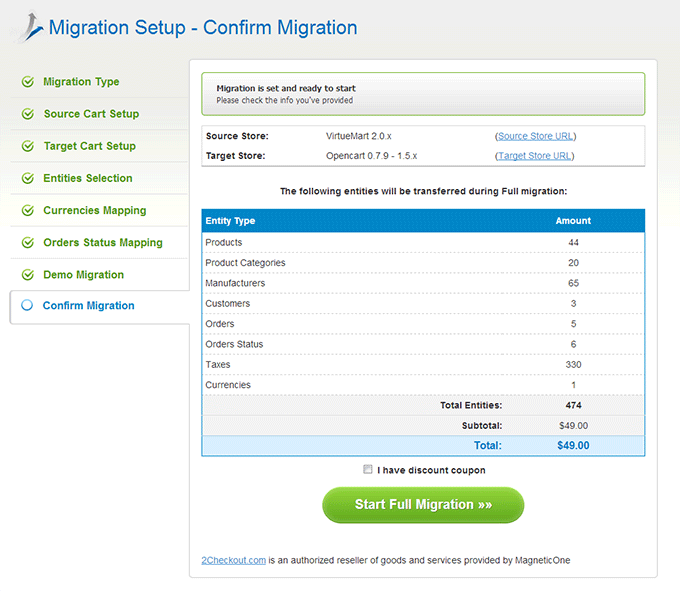 While Demo Migration you will be able to transfer limited quantity of items for free. 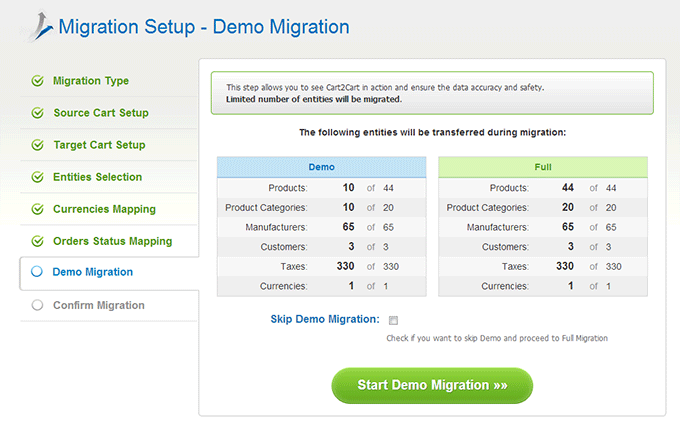 We really need to know your feedback, so please rate your Demo Migration results. If you are contented with Demo Migration outcome, the next step is Full Migration. At this point, you can check entities one more time. 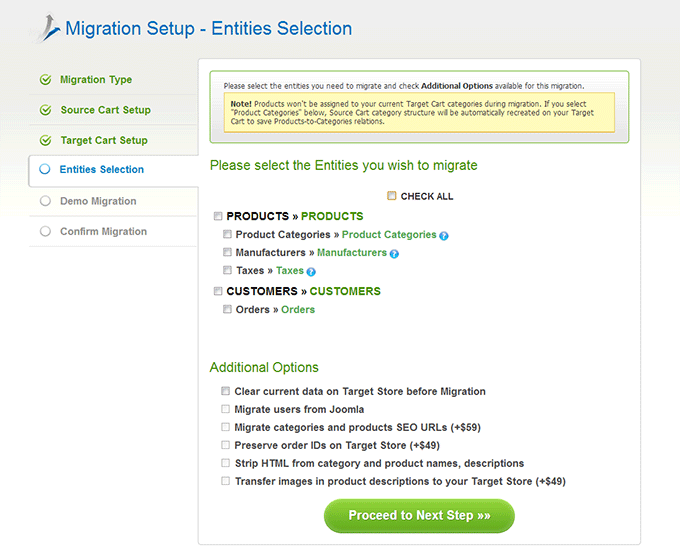 Make sure you have enough funds on an account and press Start Full Migration button. The process of data transferring will take some time. You will be able to close a browser window. After it is completed, you will receive an email notification. 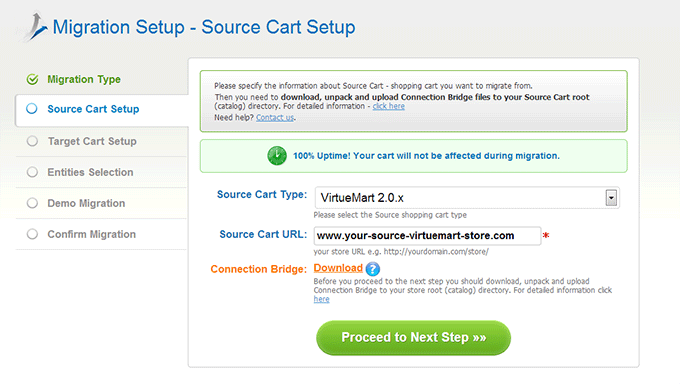 Now you know how to perform VirtueMart to OpenCart migration easily with Cart2Cart. If there are some questions feel free to contact our Support Team.